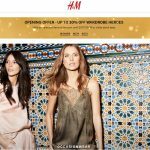 Vincci is having clearance. This offer is valid from 28 Mar – 11 Apr 2016. Exclusively at 11street Malaysia, all items at RM15 only! Term & Conditions apply! A playground for shoe lovers and addicts, Vincci / VNC was among the first Malaysian brands to push the boundaries in footwear by introducing hot off the runway styles at incredibly affordable prices. They approach shoe making as an art form and design challenge. Drawing inspiration from the great maisons, fashion week events and up-to-the-minute fashion news, we create footwear that are distinctive, desirable and on trend. 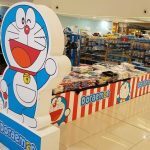 The same approach is also extended to our bags and accessories collections. By adhering to affordability, trendiness and a quick-to-market strategy, Vincci / VNC is today an iconic brand with a huge global following of adoring shoes enthusiasts. 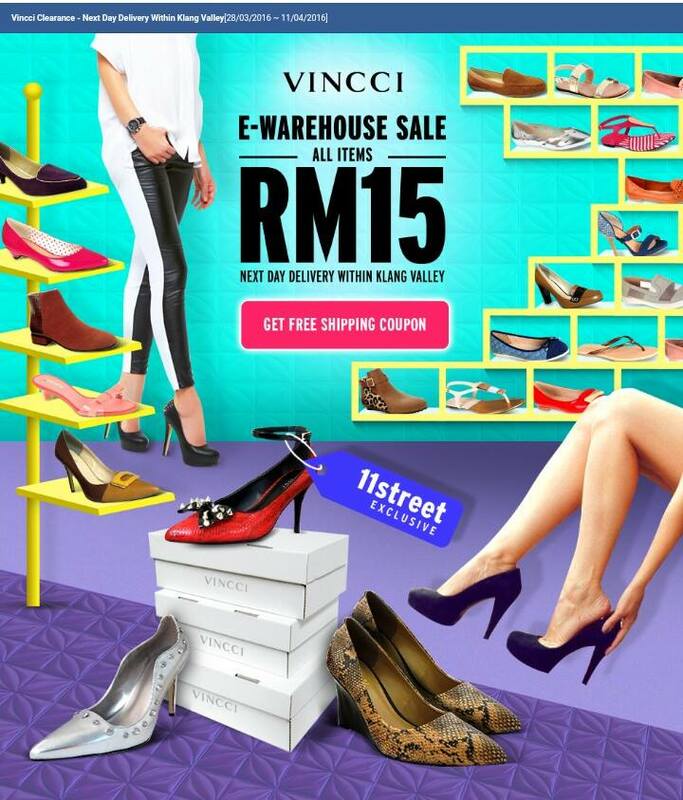 Vincci Final Countdown E-warehouse Clearance at RM15 Only! 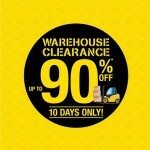 Tiamo Warehouse Sale is around corner! 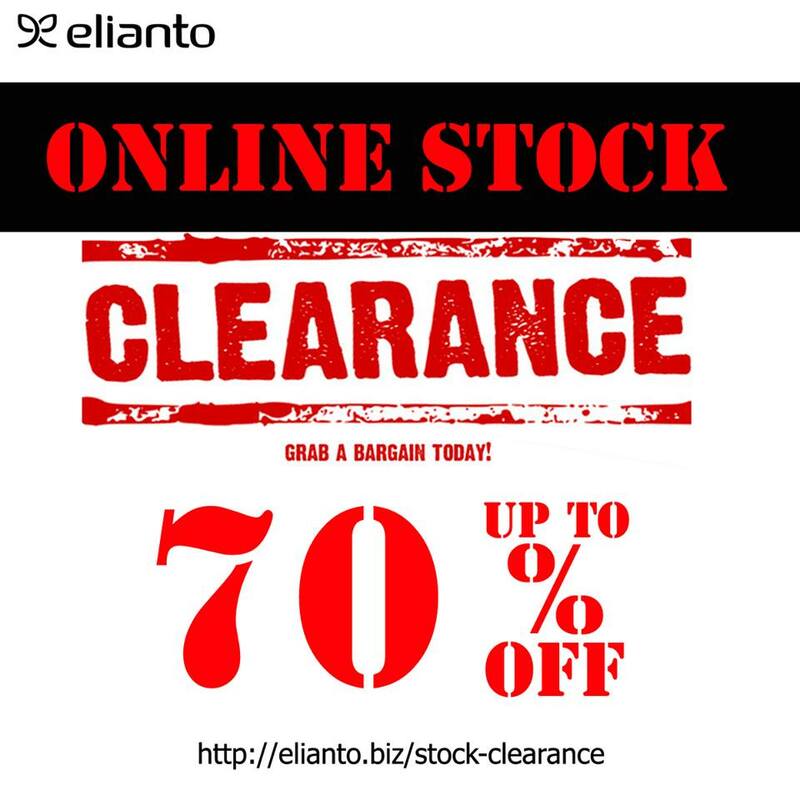 Elianto, Bonita and Tiamo Year End Warehouse Clearance!